Riveting stuff and excellent filmmaking. Our first festival will be unexpected, sometimes subversive and always informative. It’ll be Trash Cannes, and I hope you can make it. The framing, the performances, the dialogue, the action is compelling. It is Martin Scorsese at his best. It is his beating heart, as it were. Dan Higgins is the Editor-in-Chief of Pure Movies. 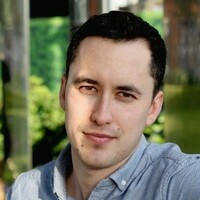 He is also the creator of MadMeninNotes.com, has edited a number of publications and has a degree in English Language and Film Studies from the University of Sussex. He is a Senior Communications Specialist at the BBC and currently working on his first book.